This fine French marble sculpture features beautifully contrasting white carrara marble along with the flecked, tonal qualities of fleur de pecher marble. 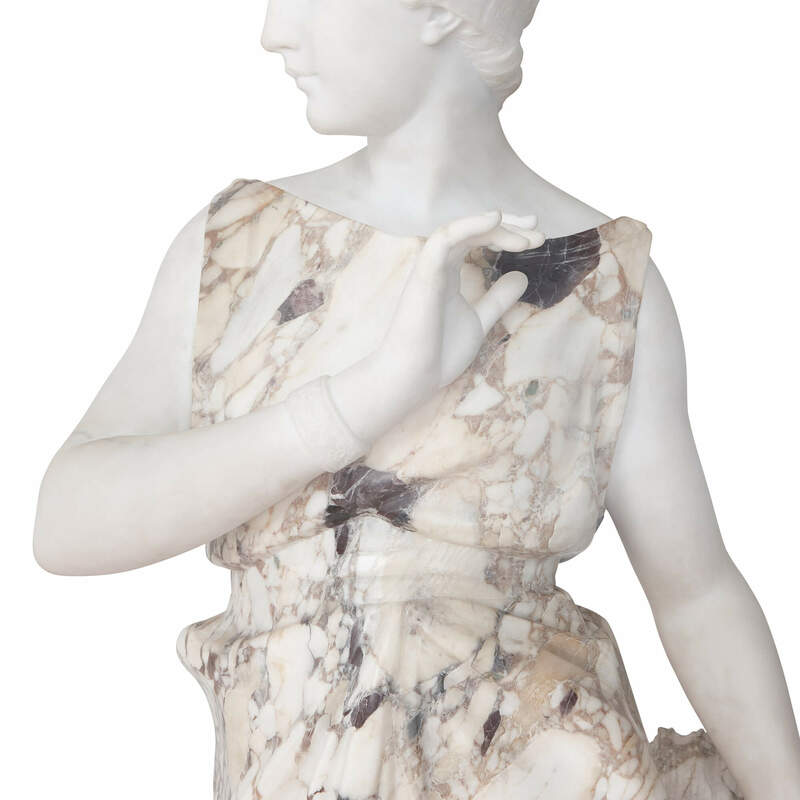 The sculpture is realistically carved to depict a full-length female figure, symbolising Autumn. 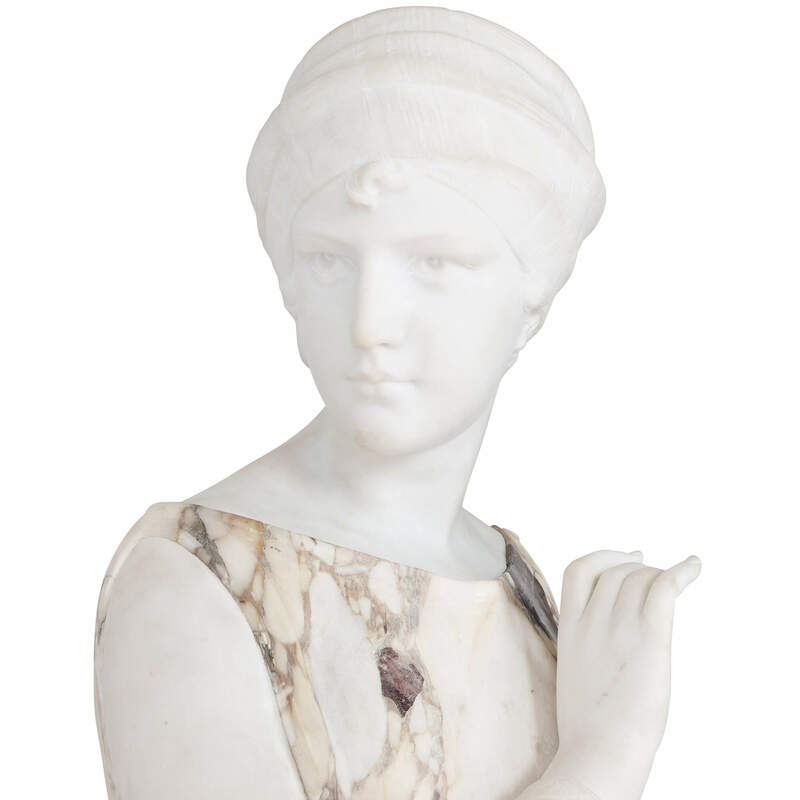 Sculpted in white carrara marble, Autumn wears her hair up, bound in a headdress, as she raises her right hand delicately in front of her breast. 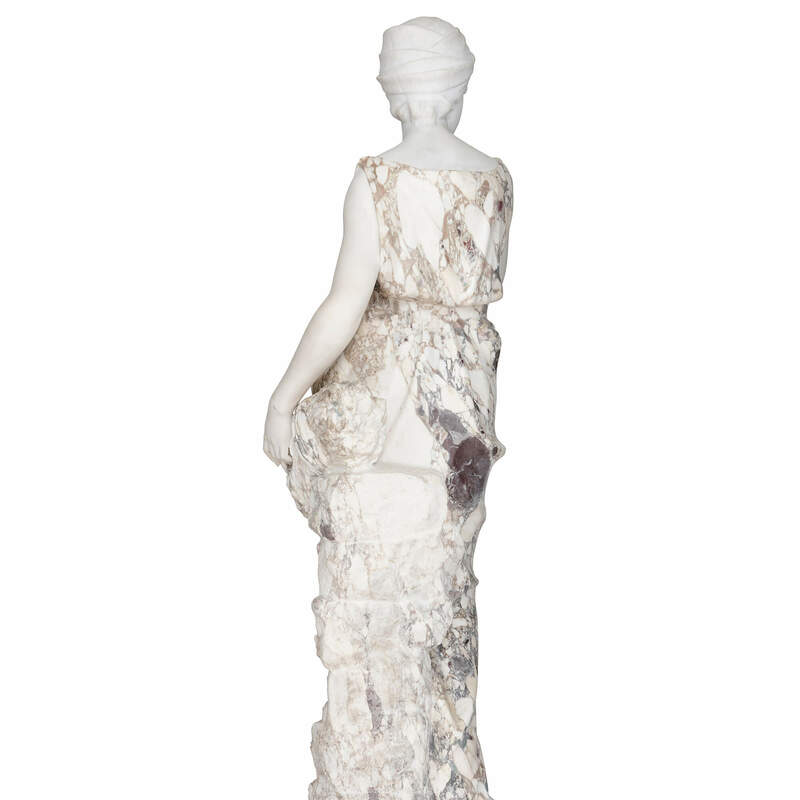 She wears a dress crafted of fleur de pecher marble, which is beautifully flecked with pink and grey tones, and stands in front of a rugged column upon which is set a basket of corn from the harvest. 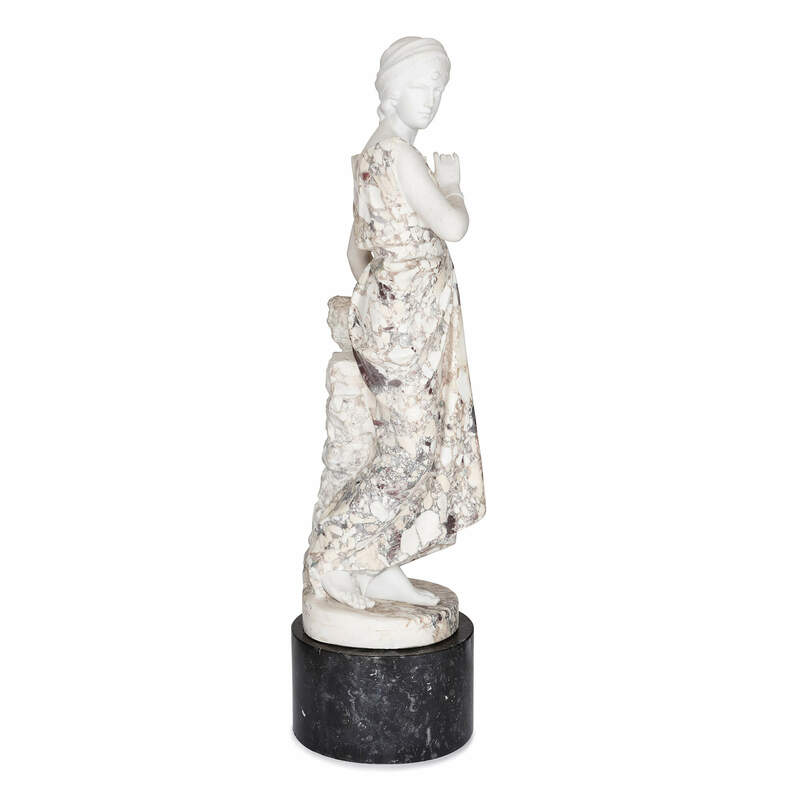 The sculpture stands on a circular fleur de pecher base, which is set upon a cylindrical black marble stand. 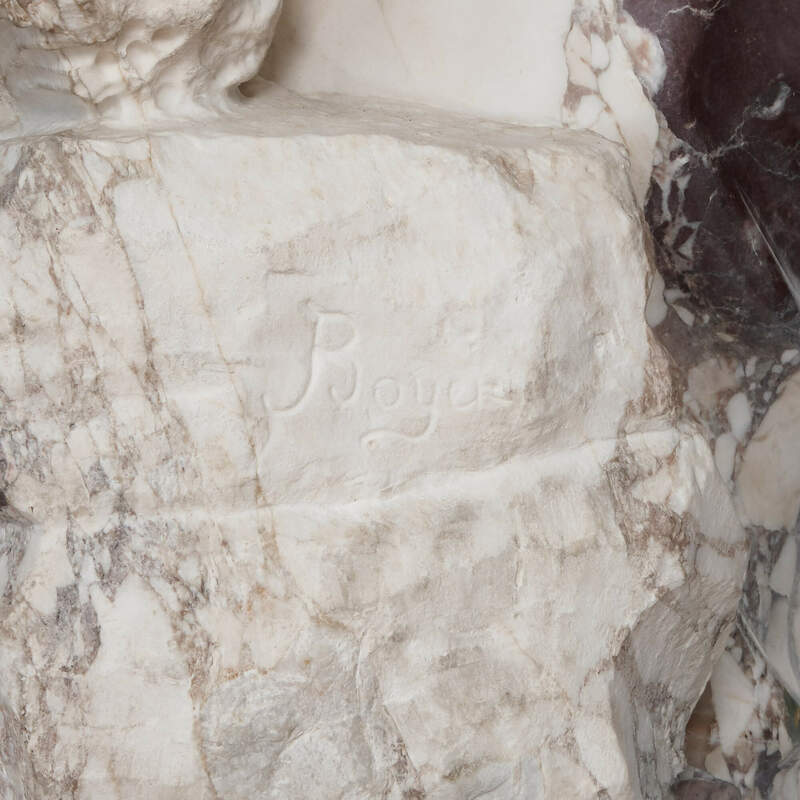 The base is signed 'BOYER' by the artist Emile Boyer. 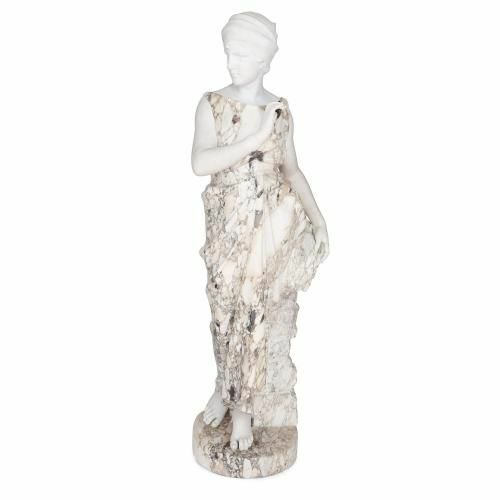 The large figure is beautifully sculpted and exudes grace and elegance, and would make a charming addition to any well-appointed collection or home.